Welcome to the website of Snippy's Snaps Diving. 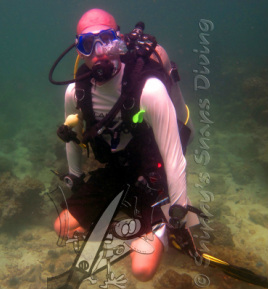 Owner and single instructor of Snippy's Snaps Diving, Daniel - Snippy - van Dongen, has been diving since 2004 and has been learning people to dive as of 2011. Snippy's Snaps Diving offers their services via other diveshops around the world. If you want to know where in the world we are offering our services at this moment, please check the website or one of our social media pages. We can introduce you into the beautifull underwater world via the PADI Discover Scuba Diving experience or you learn to dive with the PADI Open Water Diver course, the planet's most popular dive course. We can take you all the way up to becoming a PADI professional, like Divemaster and beyond. 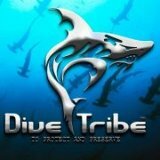 we also offer the full range of PADI Specialties. Also for Fun Diving we are the people to choose. Our teams knowledge and skills assure your safety and enjoyment as a paramount feature of your dives. Snippy's Snaps Diving also is active in Underwater Photography, so if you want to learn a lot about it or you would like to have memories of your dives with us, let us know. 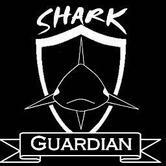 We actively support and participate to protect and conserve our beautifull underwater world. Snippy's Snaps Diving tries to educate people via the Marine Ecology Specialty courses, like Project Aware, and is active in activities, globally via Project Aware or via local organisations as Dive Tribe Thailand or Go Eco Phuket. So whether you are a novice just want to experience scuba diving or you want to continue your diving education with the PADI Advanced Open Water Diver course or higher, Snippy's Snaps Diving has what you need.